Pls note before purchase : This adapter is only compatible with the (WiFi+Cellular) version for iPad!!! Because ipad4, ipad mini, iphone 5 is 4: 3 screen, the display table will display black border. But when playing widescreen games or widescreen movie, it will automatically switch to widescreen display. 1.Pls be sure your device has "Personal Hotspot" function, such as iPad WiFi Version cannot use this product. 3.to iPad/iPhone,the screen display ratio is about 4:3; to HDMI TV,the Screen display ratio is about 16:9;so,it cannot full screen to tv. Suggestion： it is better to plug USB connector in 5V 1A power adapter than in TV USB slot, because some of the TV USB slots can not reach 5V 1A. Connect to HDMI Monitors, HD-TVs, HDMI Projectors or other HDMI Displays. Compatible with iPad, iPhone 5C/5S/6/6S/6P. 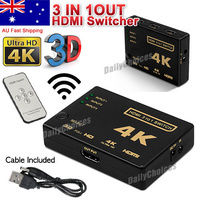 Support to transmit the Video and Audio to HD TV or HDMI display unit. 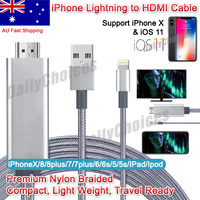 Support charge the ipad/iphone/ ipod through USB Cable. Support data synchronization with your PC or Laptop via USB cable . Step 1. Please turn on"Personal Hotspot"
Step 3. Then choose the "allow" when the window appear. Step 4. And then as bellow on your phone. Step 5. Wait for a few seconds. Step 6. Touch up your phone screen and choose the "Air play". Step 7. And then choose the "Mb110101****"
Pay By 2pm, Have your item dispatched today.